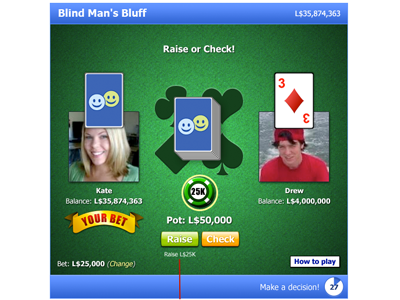 Blind Man's Bluff: has 2 Players compete in real-time. Each player receives one playing card, but can only see the opponents card. 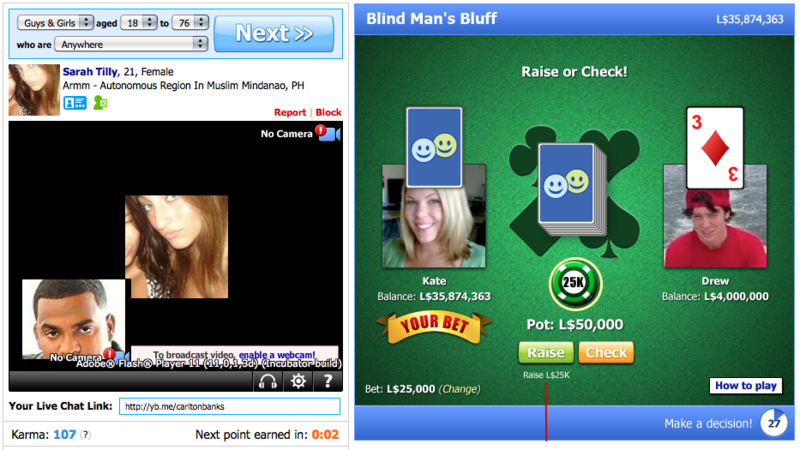 He takes turns betting if he believes his card is worth more (Poker rules). 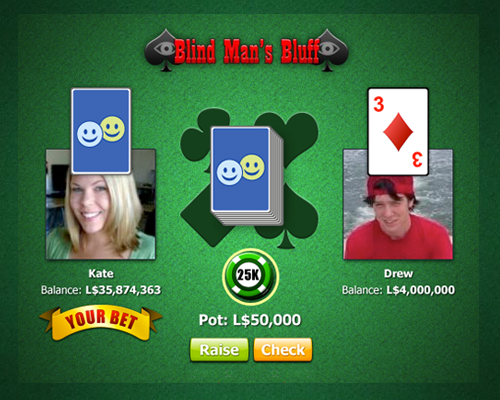 The player who has the highest card wins the pot. Role: I first built a proprietary multiplayer-gaming AS3 API & Platform (see post). Client delivered game specifications and all assets. I then completed all programming and development for the game using Robotlegs architecture and targeting Flash Player 10.